If peace and tranquillity is on your wish list this is the property for you. 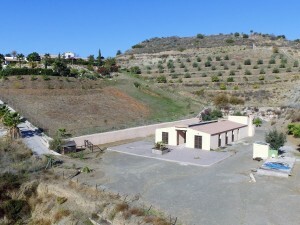 Situated in the Hills of Mijas with stunning views of the landscape and sea. This property is on 3 levels, spacious accommodations, bedrooms being on the lower and upper levels, good size lounge and open plan kitchen, private garden and garage. Large terrace, small community gated and nice pool area. Well worth viewing!